Federal Reserve Chairman Ben Bernanke on Monday urged U.S. lawmakers to lift the country's borrowing limit to avoid a potentially disastrous debt default, warning that the economy was still at risk from political gridlock over the deficit. By Jonathan Spicer. Likening Congress to a family arguing that it can improve its credit rating by deciding not to pay its credit card bill, Bernanke said that raising the legal borrowing limit was not the same as authorizing new government spending. “It’s very, very important that Congress takes the necessary action to raise the debt ceiling to avoid a situation where our government doesn’t pay its bills,” he told an event sponsored by the University of Michigan. The U.S. Treasury says the country bumped into its borrowing limit on Dec. 31, and it is now employing special measures to enable the government to meet its financial obligations. U.S. leaders did agree at the beginning of January to extend tax cuts for all American families earning less than $450,000 a year to avoid a portion of a “fiscal cliff” of policies that Bernanke had warned would likely tip the economy into recession. But lawmakers must still navigate the debt limit as well as thrash out a deal over drastic automatic spending cuts that were postponed until March 1. 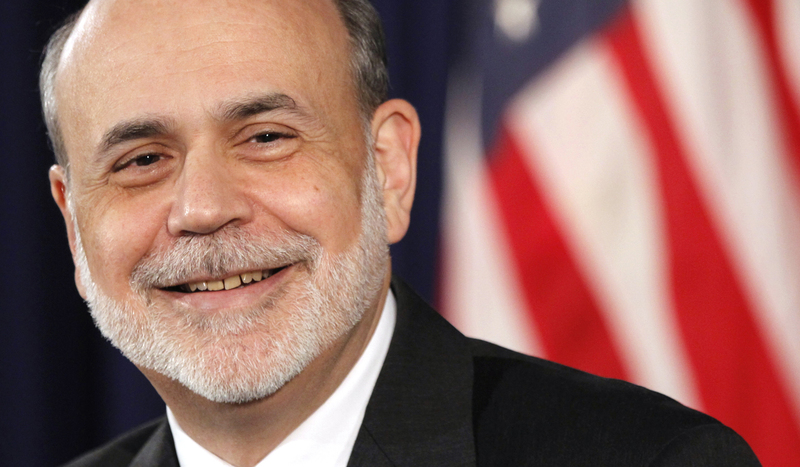 “We’re not out of the woods because we are approaching a number of other fiscal critical watersheds coming up,” Bernanke warned on Monday. The Fed last month opted to keep buying $85 billion worth of Treasury bonds and mortgage-backed securities a month until it saw a significant improvement in the labor market outlook, in an aggressive bid to push down borrowing costs and spur hiring. It has held interest rates at nearly zero since December 2008 and has said it will keep them at this ultra-low level until unemployment reaches 6.5 percent, provided that inflation does not look likely to breach a threshold of 2.5 percent. U.S. unemployment in December remained at a lofty 7.8 percent. Minutes from the Fed’s Dec. 11-12 policy meeting released earlier this month showed several policy makers favored ending the bond purchases well before the end of this year, while a few officials thought the purchases would be warranted until the end of 2013. A third policy-maker who spoke on Monday, Dennis Lockhart, president of the Atlanta Federal Reserve Bank, stressed that the open-ended, or meeting-to-meeting nature, of the Fed’s commitment to buy assets did not mean the policy would continue indefinitely.